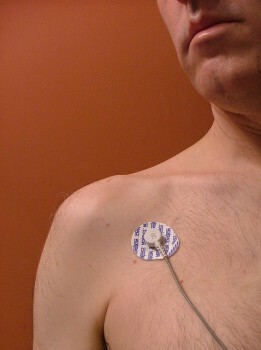 New research suggests that personal biological monitoring may be even more important than previously thought. As we learn more about how the body and mind work together, we are realizing that the body sometimes knows more than the mind. This is one of the key ideas of a new book, “The Hour Between Dog and Wolf: Risk Taking, Gut Feelings and the Biology of Boom and Bust” about the psychology and physiology of financial traders on Wall Street. The author, John Coates, is a former Wall Street trader who went back to school to study neuroscience to understand how testosterone and other physiological factors create “the winners effect” and how that might influence our financial markets. One of the things Coates found in his research was that the physiology of the traders (e.g. their testosterone levels) could predict their success in the market. In other words, their body knew–before their minds did–how they would do that day. This is not only true in financial trading. Coates gives numerous examples from the sports world: a penalty kick in soccer, a baseball pitch, a tennis serve, or the jab of a professional boxer. All of these things take less than a half a second. Our conscious minds don’t even have time to register it and yet the bodies of trained athletes react without conscious awareness. Muhammad Ali’s jab, for example, is clocked at about 40 milliseconds. According to Coates, it takes 100 milliseconds for an image on the retina to register in the brain. A man is walking along without thought or heed;–suddenly he throws himself down on the ground and a storm of fragments flies harmlessly over him;–yet he cannot remember either to have heard the shell coming or to have thought of flinging himself down. Sometimes, the body knows first. There are scientists on human consciousness who have studied this. Benjamin Libet, for example, did research in the 1970s showing that subjects’ brains were preparing to move their finger milliseconds before their conscious minds had even made the decision to do so. 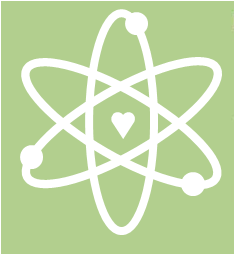 Libet’s research brings up interesting questions about free will. “Consciousness is largely an override mechanism,” says Coates. Our automatic systems seem to be the default, and the body is often ahead of the brain. Psychologist William James also proposed the idea that our emotions result from the actions that we take with our bodies, and not the other way around. We don’t run away from a bear because we feel fear. We feel fear because our body has started running. Our bodies protect us from our slow consciousness by bypassing the mind altogether and using “preattentive processing” to observe and adapt to whatever is happening around us. This, according to Coates, is what happens every day on the trading floors of our world’s financial markets. The shifts in the world’s markets register in the physiology of the traders before they cross their conscious awareness. For example, Coates describes Martin, the trader who preconsciously senses a change in the markets: “Unbeknownst to Martin’s conscious brain, a subsonic tremor has just shaken the market, and silent shock waves radiate from the screens, reverberating in the cavern of his body. Something is not right.” Valuable information to have when getting a few seconds head start could translate into millions of dollars. 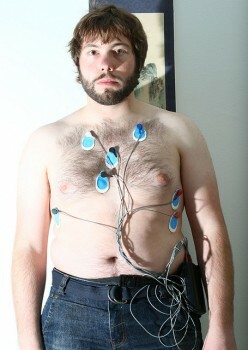 This is where personal biological monitoring comes in. What if we could tap into the knowledge of our bodies? What if our diverse physiological monitoring systems could grant us important information that our minds may be missing? The dashboard of the body shows us heart rate, muscle tension, digestion, vascular resistance, sweating, bronchial contractions, blushing, pupil dilation, facial expressions and more: all potential cues to things that may be happening beyond our awareness. Coates’ research already has a direct application in finance, where traders’ hormone levels are a better predictor of risk than their own intelligence. But once we accept that the body knows first and that our minds are along for the ride, the possibilities are endless and fascinating. Coates, J. (2012). 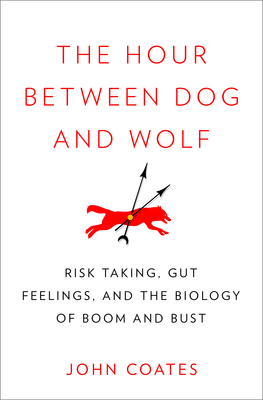 The Hour Between Dog and Wolf: Risk Taking, Gut Feelings and the Biology of Boom and Bust. The Penguin Press HC. Kudos, Jeremy, interesting review of the book which brings up my personal quest to find solutions for outside situations and bodily challenges (as we all age). Working in marketing and sales I always feel there is a solution or a path to knowledge to come up with a solution and ‘to get better’ and ‘move forward’. It would be fantastic to have our physiology monitored or so fine-tuned that we would know things before they were about to happen. 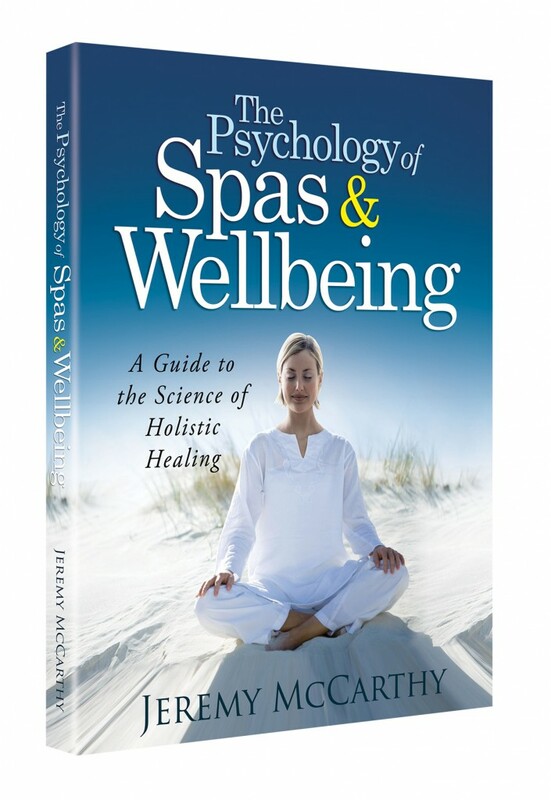 This all brings me back to the word ‘wellness’ that I like to talk about as it encompasses eating correctly for your bodily needs, thinking the right way, exercising and now understanding your body’s own physiology. Will we soon all be Six Million Dollar Men (and women) hooked up to machines and monitors? How are we all going to afford all of this? Along with Ray Kurzweil, Deepak Chopra, Deborah Szekely, Andrew Weil bringing the ‘old’ seamlessly together with new technologies we can. Perhaps if we add a dose of common sense and our ability to share and give back it will work so that we can all benefit from these extraordinary discoveries! Thanks for bringing this to my and others attention by you writing about it in your blog. Very interesting article once again! But a funny observation: our focus on technology is taking us away from our bodies, and as a result we ignore the inner intelligence that is meant to guide us. Are we now going to rely on technology to process what we used to understand intuitively? Sigh… Genius or stupidity? It’s a really good point MJ. I didn’t want to make the article longer but I thought about including some quotes from Walter Isaacson’s biography of Steve Jobs. He talks about Jobs’ early fascination with Eastern philosophy and spiritual practices and how he learned from his travels that the Western world was too reliant on rationality and had lost the ability to tap into our own intuition. He learned (through meditation, zen study, etc.) how to develop his sense of intuition and not to be a slave to his rational mind and that was a key to his success. Sadly, the world seems to be moving more towards Western values so this role of technology is not so much what I would propose as our best possible future, but I do feel a sense of inevitability that this is where we are headed! I agree, Jeremy. But here’s another thought: in the speaker world, one thing that is commonly said is “if you want to be successful, look at what others are doing, and do something different.” Maybe it applies here too. As the whole world forgets how to tap into our innate intelligence, maybe it’s those that do who, like Steve Jobs, will stand out! Our bodies are really fascinating and I find books like this to be fascinating as well. I wonder if people like Steve Jobs would even be able to identify why they’re more successful than other people. Obviously they could and would come up with reasons (right time, right place, thinking outside of the box, etc), but I wonder if they really realize how tapped into their own subconscious they really are. Interesting to think about (IMO).